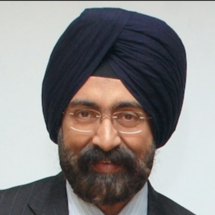 Dr. Arvinder Singh Soin (MBBS, MS, FRCS, FRCS, FRCS) is recognized all over the world for his pioneering work in establishing liver transplantation in India and for performing more than 2500 living donor liver transplants in India, which is the highest in the country and the second highest in the world. Dr. A S Soin and his team currently perform around 22 to 25 live donor liver transplants every month, with 95% success, giving results which are at par with the world's best centers. Aside from referrals from all over the country, Dr. Arvinder Singh Soin also handles cases from the rest of South Asia, The Middle East, and Africa. Dr Arvinder Singh Soin has extensive experience of 21 years as a Liver Transplant Surgeon and Hepatobiliary surgeon and he has performed more than 1500 liver transplants and more than 12000 other complex liver, gall bladder and bile duct surgeries. • First successful cadaveric liver transplant in India - 1998 • First successful left lobe liver transplant in India - 1999 • First successful right lobe liver transplant in India - 2000 • First successful combined liver and kidney transplant in India - 1999 • India’s first (and the world’s first reported) successful swap liver transplant – 2009 • World’s first chain of three simultaneous liver transplants (combined domino and swap) 2012 • India’s first successful ABO-incompatible liver transplants 2012 • First successful long distance cadaveric Liver Transplant in which the liver was flown in from Chennai and transplanted in Delhi - 1999. • First successful reduced cadaveric liver transplant in a child - 2003 • First bloodless liver transplant in India - 2005 • First successful emergency liver transplant on a patient transported to Delhi by air ambulance in deep coma – 2005 • India’s youngest ever recipient (11 months) to receive successful liver transplant - 2008. • India’s oldest recipient (70 years) of liver transplant – successful transplant in 2006. • World’s first combined liver and kidney transplant in the same patient (with primary hyperoxaluria) using organs from two different live donors - 2007 • India’s first successful dual lobe liver transplant (double liver transplant in the same patient) – 2007 • India’s first successful re-transplant (on a patient a year and a half after the first) – 2008 • India’s first and world’s youngest Domino liver transplant – 2009 • India’s smallest liver transplant recipient – (6 kg) – 2009 • India’s first successful Intestinal Transplant – 2013 • India’s youngest and smallest ever recipient (4 months, 4 kg) to receive successful liver transplant - 2013. Dr A S Soin did his initial surgical training at the All India Institute of Medical Sciences (AIIMS), New Delhi. Dr Arvinder Singh Soin spent 11 years there gaining his MBBS and MS degrees followed by specialist experience in Liver and Gastrointestinal Surgery, during which he published a research thesis on Portal Hypertensive Gastropathy. Dr A S Soin then obtained FRCS degrees from both Glasgow and Edinburgh in the UK, following which he trained and worked at two of the world’s most renowned centers (University of Cambridge 5 years, University of Birmingham 1 year) for Liver and Biliary Surgery, and Liver, Kidney, Small Bowel and Pancreas transplantation for 6 years. Dr Arvinder Singh Soin was one of the first few surgeons in the UK to qualify for and obtain an Intercollegiate FRCS in Transplant Surgery. In addition to performing hundreds of transplants, Dr A S Soin was Surgical Tutor for the University of Cambridge, and Faculty for 2 of the Royal Colleges in Surgery. At Cambridge, Dr Soin also conducted pioneering research in transplantation. More than 110 of his original research papers and book contributions have been published / in international / national journals and books. Dr Arvinder Singh Soin was a Visiting Fellow at the Kyoto University Hospital in 1997 and Asan Medical Centre, Seoul, in 2000. Dr A S Soin was Visiting Faculty at the Ege University, Izmir, Turkey in 2004, and Istanbul in 2006 and 2007. These centres are among the world’s most renowned for living donor liver transplantation. According to international guidelines, any patient suffering from liver cirrhosis who is assessed to have a life expectancy of less than a year should be considered for a transplant. Severity of liver disease is graded from A to C. Usually all Grade C and most grade B patients are candidates for transplant. Any patient with any of the liver failure symptoms listed below should seek specialist opinion so that liver experts can assess whether a transplant or medical treatment is more suitable for them. In any case, the better the condition of the patient at the time of transplant, the better are the results of surgery. In patients who are critically ill in ICU, malnourished, have active infection, or other organ damage such as kidney impairment at the time of the operation, the results of transplantation are dismal. Therefore, timely transplant is of essence in obtaining good results. A timely transplant done on a patient who is in a reasonable condition, with a good donor liver has around 80% chance of success. In most instances, the above causes initially result in Hepatitis which can usually be treated. However, if the offending factor is not removed or treated on time, cirrhosis develops and then it is usually too late to change the course of the disease. The liver specialist usually suggests this evaluation once he has diagnosed end-stage liver disease. Recipient evaluation is done in three phases and normally takes 5-7 days in hospital. To establish definite diagnosis, determine the severity of liver disease and the urgency of the transplant. To determine the fitness of the patient for a transplant. The other systems such as heart, lungs, kidneys, blood counts are tested and the presence of any infection is ruled out. The liver specialist then decides how successful the surgery is likely to be depending on the status of the patient and the cause and severity of liver disease. The final phase entails the psychological and mental preparation of the patient. The patient and the family are counseled about the procedure, hospital stay, the likely course after surgery, follow up and aftercare. After evaluation, the patient is either placed on the waiting list for cadaveric donation, or , if there is a willing and blood group matched family donor available, he/she is evaluated for donation and a transplant is scheduled. While on the cadaver waiting list, the patient follows up with the Transplant Team until a suitable liver becomes available. If the patient's condition shows signs of deteriorating, we normally suggest the family to consider living liver donation.